The Idaho Freshman Baseball League here in Boise was started last year with eight local high school teams including Borah, Capital, Centennial, Eagle, Meridian, Mt.View, Rocky Mtn., and Vallivue. Boise High joined the league for this season making it a nine team league with the hopes of growing again for next year. The league functions as a gateway to keep the kids actively participating in baseball while waiting for a shot at a spot on their varsity teams. You might think of the freshman league as the Minor League of high school baseball. 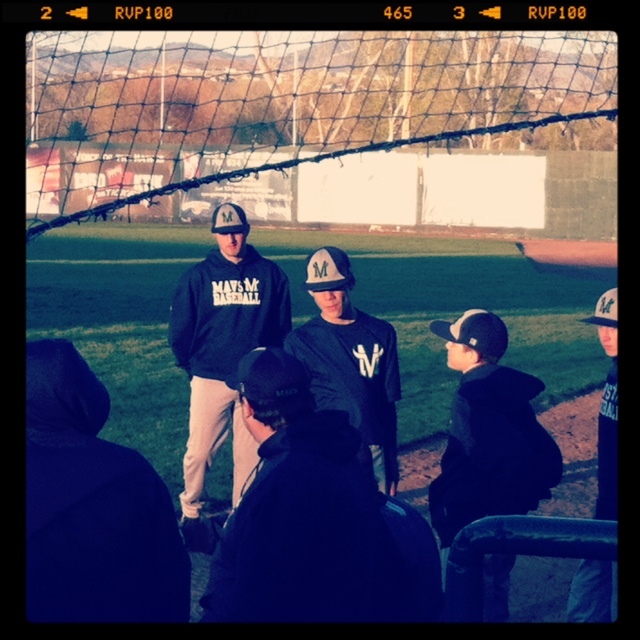 To get a deeper look into the freshman league and what it brings to the community; I spoke to Mountain View High’s coach, Judd Olmstead, who is in his second year of coaching freshman baseball. What do the players enjoy most about the league? The freshman league sits close to the heart of Todd Rahr, President/GM, of YOUR Boise Hawks. It all started when Rahr heard Frank Wright, varsity coach at Eagle High, on Idaho Sports Talk . Wright was on air talking about the cuts the Meridian school district would me making for 2012, freshman baseball being one of them. He spoke about how tough this cut would be on baseball programs in the Valley which struck a nerve in Rahr to call Wright up the next day. Wright brought all of the coaches in the Valley, minus Timberline and Boise, to a meeting at Memorial Stadium where they set up the league! For the first season the league received a grant but in 2013 they weren’t that lucky. The games cost between two and four dollars to get in with the proceeds being fed back into the Idaho Freshman Baseball League and Hawks Nation Charity for use of paying umpires, buying game balls, fielding equipment, etc. Memorial Stadium acts as a neutral venue for the teams to play seven to eight games each. Lack of fields to play on and not being able to afford renting a venue was one reason the program was to be cut in the first place. For the 2013 Master Schedule and information on joining the league for next year, visit www.froshbaseball.info.